This stunning 3ft x 5ft 100% 100% polyester flag makes a big statement! 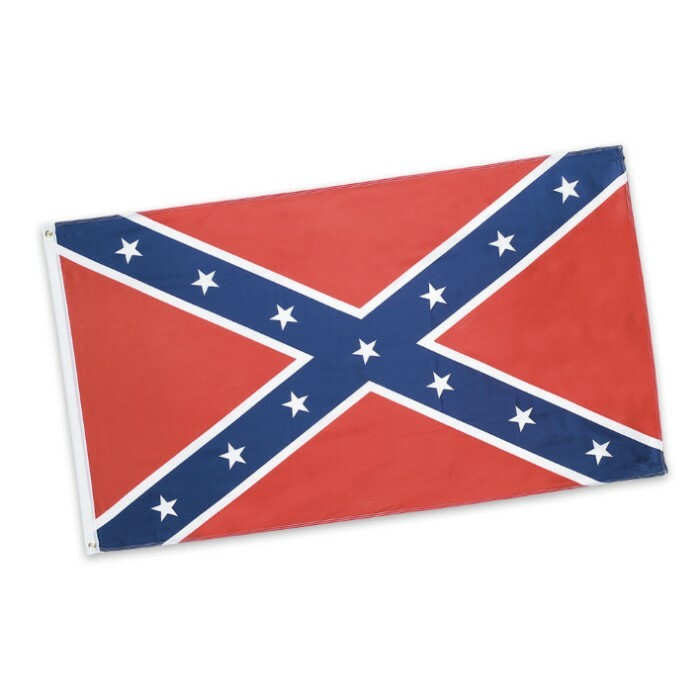 This flag looks great flying in the wind or displayed against a wall. I like it. I got just what I was expecting. Very thin material can see through as if were a shear cloth. Quality control on the stitching is lacking. The flag is good quality,well made and reasonably priced. Get you one! Great Flag, Great Condition, Love it. Budk Never Disappoints. For $9.99 and the limited online places that sell them these are great. I plan to buy more as stocking stuffers! And in this case, I might, because who doesn't love the good ol' rebel flag? This flag was folded nicely, with as little creases as possible, therefore, it looks very nice on the wall. Same quality as the flags I pick up from flag shops.